Expedia chose Nuevo Vallarta as One of the Most Amazing Destinations in the World; meanwhile, its beaches are on the list of the 10 Most Popular Beaches in Mexico on TripAdvisor’s 2017 Travellers’ Choice. The Riviera Nayarit—more specifically, Nuevo Vallarta—is giving the tourism world even more to talk about now that two of the most important companies in the industry have placed the micro destination squarely on its popularity lists. 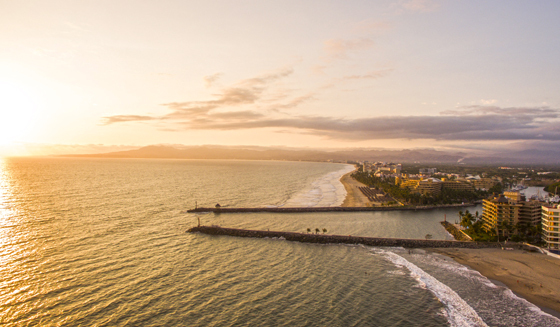 Nuevo Vallarta, known as the Riviera Nayarit’s Mainstream, has spearheaded the promotion of the Destination and is home to over half the hotel rooms available in the region, boasting a series of first class environmental and luxury recognitions. On the 20th of this month, Expedia.mx launched its list of the 50 Most Amazing Destinations in the World, naming Nuevo Vallarta at number 21. Meanwhile, TripAdvisor México has published its list of 10 Most Popular Beaches in Mexico in its Travellers’ Choice 2017 segment. Nuevo Vallarta once again takes an important spot on the list at number 7.